Department of Anthropology» About» What Can You Do With A Degree In Anthropology? We're sure your parents are asking you that question right now. You could sing them an answer. 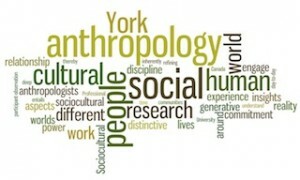 Visit this blog by Department Instructor Dr. Rhiannon Mosher who discusses a wide array of resources for undergraduate and graduate careers in Anthropology. Check the American Anthropological Association's Careers in Anthropology website.